This might be stating the obvious, but..food is awesome, especially food made with simple, tasty ingredients. Not only does it nourish our bodies and high-five our taste buds, but it also gives us endless opportunities to change things up. So when you said you wanted a chewier, simpler bar, we heard you. We took a closer look at our recipes and reflected on a familiar saying - less is more. After experimenting and taste-testing (and taste-testing again), we found that some simple changes made a delicious difference. Simplifying our ingredients by cutting the ingredients list down by nearly half in all of our chewy bars means the star flavors like wildflower honey, rich chocolate and whole roasted nuts, shine brighter than ever. Not to mention out whole grain oats give these tasty bars that chewy texture we call crave. You might notice they look a little different, too. But they're still our chewy classics-now with even more love. Chewy, more tasty, with a simple list of ingredients. *Contains 5 g total fat per serving. 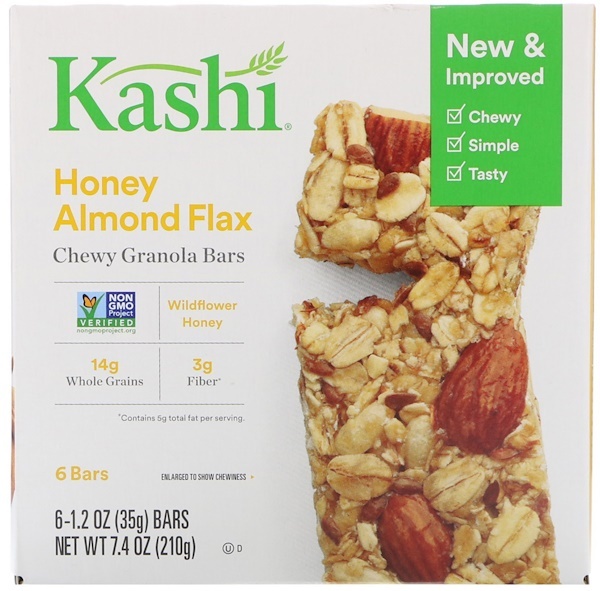 Whole grain oats, brown rice syrup, almonds, dried brown rice syrup, brown rice flour, sunflower oil, flaxseeds, honey, oat fiber, glycerin, sea salt, molasses, natural flavor, rosemary extract for freshness, peanut flour. 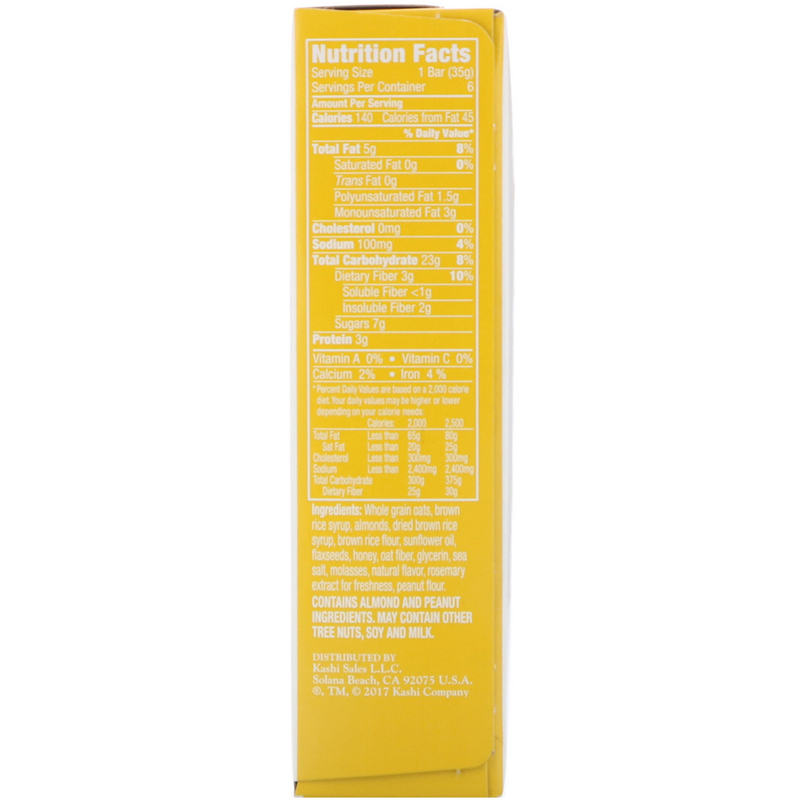 Contains almond and peanut ingredients. May contain other tree nuts, soy and milk.